Congratulations! This sounds like it'll be a really interesting read, I'll be buying it for my little sister (and pinching it off her too)! Writing "Congratulations!" I fear may "underplay my sense of enthusiasm" on this fantastic accomplishment. I love the cover too. I'm excited to find out more about this younger generation of brilliant women. You have a will of steel to have kept this under your hat for so long. heh. Well done!! AHHH! That is so exciting!!! CONGRATULATIONS!!!!!! You are the perfect person to write a book like that, and it is definitely needed. I could have used soemthing like that in my youth, although I'm sure it will still do me good now, haha. what a lovely suprise!!! Many congrats. Now, I do remember you mentioning something...It sound like an amazing book, exactly the kind of book that needs to be put other. I do feel that young need guidance more than ever...and a book written by such a brilliant women as yourself is a great place to start. Warm and joyous congratulations to you! So proud of you! Hope I'll be able to get my hands on the book somehow, I am really looking forward to reading it! So many congratulations! I cannot wait to purchase a copy for my daughter, so she can benefit, as I have, from your lively, vibrant perspective and precocious wisdom. And of course I'll read it, too. Reading this post, I cannot repress my big sister/ newly mommy urge, so please forgive the unsolicited advice. Here's the one thing I would have told my younger self: be single for as long as you can. Before you know it, I promise you will be either married or in some kind of very committed relationship, whatever your heart wishes or prefers, and that is wonderful but has its own challenges and many attendant compromises. Enjoy your independence... it really won't last forever, and of course compromises and routine are not a horrible thing either, not at all. Each phase-- relationships and compromise vs. independence and taking on whatever challenges you want without giving them a second thought-- are beautiful in their own right. I just had a very, very short phase of being independent and free, so I always urge younger friends to take their time. I met my first serious boyfriend when I was 20 and gave up two scholarships to study all over Europe in order to stay near him. On one hand, if I changed a single thing, I would not have my two beautiful children, so I don't really regret anything, but on the other, I wish I had worried more about having as many experiences as I could versus having a romance and fast-tracking into adult life. I think romance will be easy for someone gorgeous and talented like you... It's really the experiences and memories you're making right now that are priceless. Okay, my unsolicited two cents! Anyway, can't wait to read this at last! Congratulations Rosalind. I'll order a copy through my local bookstore. Looking forward to reading this first book, after having enjoyed your blogposts for a few years now. And this will open the door to your future book-writing career, which is so obviously yours for the taking - you are such a compelling writer! Now I see your book! I am beyond excited for you! I am really trying not to fill this comment box with endless exclamation points, but it is difficult not to. 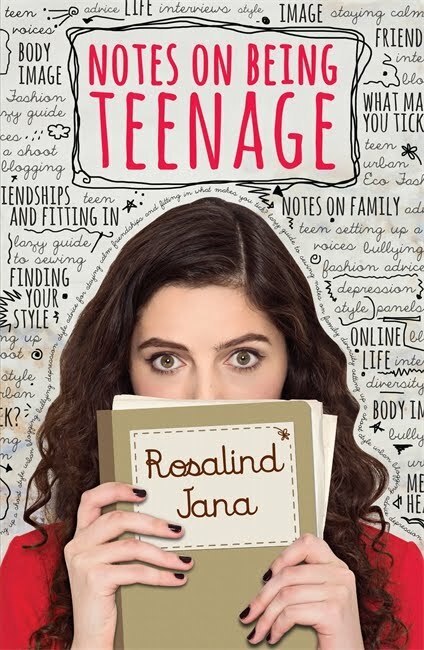 Dedicating your book to the teenage set is brilliant. Seeing a young mind blossom and flex creative talents - as we have all witnessed with you -- it just makes the heart burst! One of my projects this year was to engage young people (11-14) in the creative arts: choreography, photography, film, literature, music composition, and visual arts. One 11-year old submitted a mind-blowing, short story. Would you believe - his parents thought he did nothing but stay in his room all day and play games. They knew little of his fertile imagination and talent with words! The entries in the other categories were equally astonishing. It is simply heartening to be audience to the next generation's creations. Congratulations on your book! I think my daughter will relish it as much as I will!